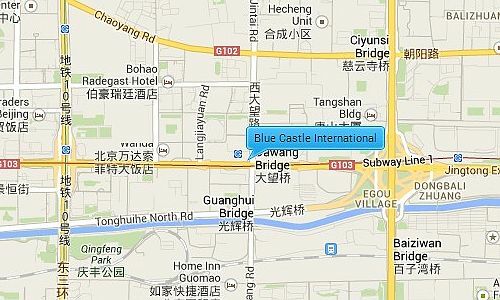 Blue Castle International has a total area of 150,000sqm and the compound is divided into a northern and southern side, with a green area in between. It is comprised of two 20 storey buildings and a large green area in-between. The high ceiling apartments range from a 54sqm 1 bedroom layout to a 318sqm 4 bedroom layout. All apartments have high ceilings, central air-conditioning and wide windows.